Benedict Cumberbatch wanted "the challenge of transforming into someone that's pretty far from myself, in many ways"
He has predicted that the film "is not going to please everyone"
Actor Benedict Cumberbatch will play Brexit mastermind Dominic Cummings in a new TV drama airing in Britain next month that will focus on the controversial tactics used ahead of the 2016 referendum. The two-hour long Brexit: The Uncivil War will air on Channel 4 on January 7 - the same day that MPs return to Westminster after their Christmas break and ahead of a critical parliamentary vote on Brexit the following week. Benedict Cumberbatch, who supported staying in the European Union in 2016, said he wanted "the challenge of transforming into someone that's pretty far from myself, in many ways, and to see the world through his eyes." "It's such an important story that's continuing to define our nation, and I didn't know an awful lot about how the Leave vote was won," the 42-year-old said. 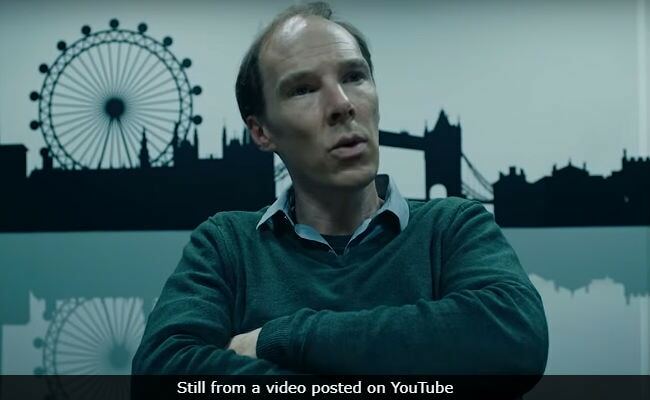 Benedict Cumberbatch revealed he was initially "wary" about the project because Brexit was "the most divisive issue in politics certainly that I can remember in my lifetime". "It's far more complex than just the question of in or out on the ballot paper," he said in a statement, admitting the issue had divided his own family and friends. The British actor also predicted that the film "is not going to please everyone" since "politics, especially around this issue, gets incredibly personal." Dominic Cummings, a former political adviser to eurosceptic MPs, was the campaign director of Vote Leave, the pro-Brexit group that helped win the referendum against all odds despite the government backing continued EU membership. Little known by the wider public, Dominic Cummings is credited with playing a decisive role behind the scenes, particularly through his insistence on a data-driven social media campaign rather than traditional electioneering. Script writer James Graham said Benedict Cumberbatch had worked hard not to make the portrayal biased. "Benedict's absolute obsession all the way through was to make sure that it wasn't too one-sided. That the film wasn't blaming him," Mr Graham said. Benedict Cumberbatch said he met with Dominic Cummings, studied the few video clips of him available and spoke to members of his staff about what he was like in person during the campaign. "One of the most striking things was how calm and composed they said he was throughout the entire campaign. He has a very even spirit level," the actor said. The tactics employed by Brexit campaigners have come under intense scrutiny since the referendum, particularly the use of misleading slogans and targeted political ads. In July, the Electoral Commission watchdog fined Vote Leave for breaking campaign spending rules. Investigators found that more than £675,000 ($853,000, 747,000 euros) spent with Canada-registered data firm Aggregate IQ via another campaign group should have been declared. The characters in the film include Boris Johnson and Nigel Farage, two leading Brexit campaigners, as well as businessman Arron Banks, an influential pro-Leave donor who is under investigation over his finances. Channel 4 said the film was "an enlightening, eye-opening exploration of how modern data-driven campaigning techniques contributed to one of the most unexpected, highly-charged and controversial decisions in modern political history." Benedict Cumberbatch said he hoped it "will make people think not just about the Brexit campaign but how they are targeted more generally by political and commercial organisations." "And particularly how the data they provide to these organisations is used," he added.